We adopted many advanced technologies on this coal fired boiler. 1.These units are designed to generate 750 TPH ( 510 MW equivalent ) of steam at 400ºC . The special feature of this design allow the Boiler to be run (up-to 100% capacity)on any of the fuels like pulverized coal / Naptha /Clarified Slurry oil/ Heavy Fuel Oil . 2.Another feature is the B&W MPS mills which ensure good pulverization of the coal & efficient burning. Design features like Staged combustion, particulate capture ensures compliance to emission norms set for the area. Earlier this refinery was using Oil for their power & steam requirements and these new boilers have reduced the energy costs by approximately 50% (based on prevailing Oil & Coal costs). These boiler has been successfully commissioned and are in continuous operation for over 10,000 hours. All of these are suit the needs of our customer in India. We are very happy that we can win the trust of our customers. 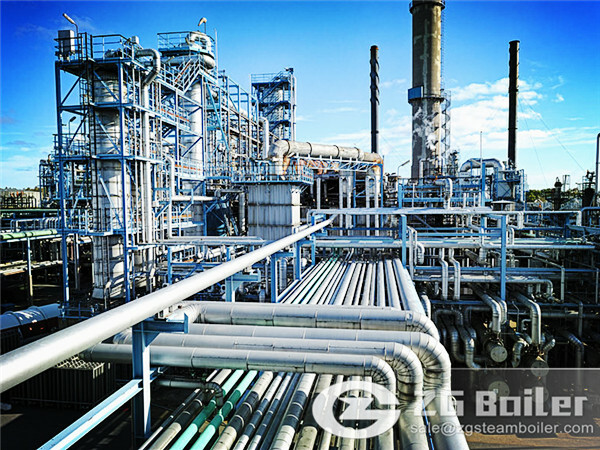 We hope that more and more customers in Oil refinery can buy our boilers. Please contact us, our professional engineer can give you the suitable plan.